UPDATE: The City Is Open Source merged with Mifactori (Hypercircularity) and will be further developed there. Also this mission statement got updated and the new version is here. UPDATE (DE): Das Projekt The City Is Open Source wurde zusammengelegt mit Mifactori. Dort wird es weiterentwickelt und dort findet sich auch eine neue und verbesserte Version dieses Mission Statements. A recording of a talk about the project from Re:publica 2018 – caffeine overload and time pressure. But still. The project ‘The City Is Open Source’ explores hacking as a method to create and experience the open, circular and free city. Hacking is the most promising and maybe only viable way to make our cities sustainable, circular and places of individual freedom for its residents. why hacking is the best and only way to invent and build circular cities. What the heck is hacking? The shortest definition of it might be ‘to break a systems limitations’. Hacking is about ‘repurposing’ systems and give it new possibilities. The term itself was coined at MIT in the 1950s. It meant a creative technique where you take a system and use it for something entirely else than the initial designers of the system have intended by just doing a few small changes. Small modifications with a big impact. A hack is something quick, dirty and can be inelegant, but it is most likely something very smart and creative. 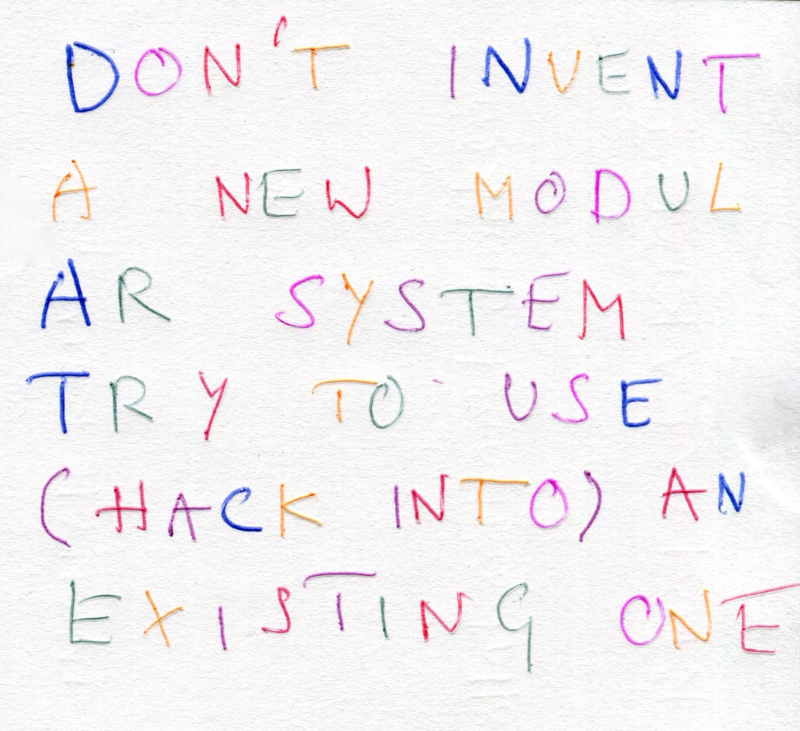 Hacking means to do with a system what YOU want and not what the system wants you to do with it. We know for decades that we are “running the planet” in a very unsustainable way. But very little has changed. Climate change, resource depletion … everything moves even faster than 40 years ago. Why? A good explanation for this offers the Lock-In Effect. Things we know because we have only read or heard about them usually have little impact on our daily decisions and perception of the world. Stronger and more influential are the structures and systems that surround us, we are using everyday. The world around us determines what we can think or imagine. An Example: It is important to teach our children not to jump on the street because cars drive there! A child that doesn’t know this lesson will not survive in the city. But with the same lesson it also learns that our society values cars, that the best part of the street is not for the kid but for cars. And later in life when the kid is grown up and has to solve a problem the involves mobility … very likely a car will be part of the picture. But there is no room to develop ideas what else could you do with all the fantastic space between the buildings in our cities! Imagine you try to teach design students in universities how to create open source and circular products – like I do. You get the chance to talk to them once, maybe once a week. But in their daily life they are surrounded by thousands of products that are the opposite – linear and closed source. They will probably have a much bigger impact on the mind of the students. The culture we are locked-in shapes what we can do and even imagine. It is a permanent lesson about how to re-create it. If it is unsustainable it will force unsustainable thinking and problem solving on us. Our possibilities are determined and even our imagination is blocked. I met a french researcher who is researching sustainability for 20 years! And she could not come up with a way how to structure her german-french research project without flying back and forth between the countries on a regular basis. How to get out of this ‘prison for our imagination’? Option 1: Smash down our cities and rebuild everything from scratch. That is not a solution. For tons of reasons. It would be an ecological and energy disaster to name just one. Option 2: Hacking! Hacking seems to be indeed the only way out. Because it means to give a system an entire new purpose with just doing a few minor modifications to it. Repurpose what is there. This could be an ecologically and economically sustainable way for transformation. The development of our culture progresses. This means we find ourselves surrounded by a growing number of systems. The majority is too complex to be understood by a single human being. Yet they express intentions and interests. But whose intentions and interests? It is frightening but the reality that thousands of intelligent people work hard to build a ‘smart city’. Many of them push for smart city that will put us all under heavy surveillance: Our movements, habits, social circles, heart rate, adrenalin level and blood sugar will be intercepted by sensors and sent to companies to allow them to display us opportunities, choices and news in return. This systems are feed with psychological methods and pimped with AI to offer us the ‘perfect choice’, the ‘perfect view on the world’. Perfect for who? How is this different from manipulation that becomes more sophisticated every day?! Surveillance is a great tool to enforce existing – linear – power structures! It helps those in power to stabalize their running structures. So Hacking – to break these systems limitations – to do with our live what we want to do and not what they want us to – might be the only way to maintain, express and reestablish our freedom that is necessary for real sustainable change. We need to be able to bust every sensor network and bypass surveillance systems. And this is what the project ‘The City Is Open Source’ is about. It investigates hacking as a method to invent and experience the open, circular and free city. It aims to build an accessible open toolbox and a list of examples for everybody to study, use, build upon and contribute to. Hack our cities for freedom and circularity! The project is on the road – by train, through the net, and an rare cases on a plane. We love to invent and discuss hacks for and/or in partnership with other organizations and to create things in open events. Invite us. Or just start hacking! things are smart without producing data about individuals(data minimisation). Freedom always wins over promises of efficiency wins if those require surveillance of any kind. Public data and any process where a company or government collects and/or processes data about individuals is open source. made publicly available so that anyone can study, modify, distributeand make them also for commercial purposes. Open Source designs ideally use readily-available components and materials, standard processes, open infrastructure, unrestricted content, and open-source design tools to maximise the ability of individuals to make, use and improve the things. Open Source gives people the freedom to control their technology while sharing knowledge and encouraging commerce through the open exchange of designs. easy to repair, repurpose, refurbish & recycle. Things are easy to dismantle and reuse. Therefor modularity, open standards and common construction methods play a huge role. Materials in use are either fully recyclable in technical processes or completely biodegradable. Feedback loops are as short as possible. The whole human culture and economy works in mutually elevating synergy with the biosphere enhancing diversity. Transparency and Openness are key drivers. Renewable energy is in use. LINK: What is circular economy? Das Projekt “The City Is Open Source” erforscht Hacken (englisch: Hacking) als Methode für die Erfindung und Entwicklung nachhaltiger und freier Städte. Hacken scheint der einzig mögliche und gangbare Weg hin zu einer ökologisch nachhaltigen Stadt, die ein Ort für die individuelle Freiheit ihrer Bewohner ist, zu sein. The City Is Open Source ist ein künstlerisches und aktivistisches Forschungsprojekt. Ziel ist es, einen offenen Werkzeugkoffer und eine frei verfügbare Bibliothek von Lösungen zu sammeln. Wir arbeiten gerne mit Partnern zusammen. Dafür haben wir eine Reihe von Formaten für die Zusammenarbeit. Laden Sie uns ein. Warum Hacking der wohl einzige Weg ist, Kreislaufstädte zu erfinden und zu bauen. Was ist hacken? Die kürzeste Definition für Hacken ist wahrscheinlich: „Die Grenzen eines Systems überwinden“. Beim Hacken geht es um intelligente ‚Umnutzung’ von Systemen bzw. andere Nutzungsweisen für Systeme zu erschließen. Es geht also darum, mit einer Sache etwas anderes zu tun, als die ursprünglichen Gestalter dafür vorgesehen haben. Das geschieht allerdings durch kleine Eingriffe. Hacken bedeutet, mit einem Ding zu tun, was DU willst und nicht was das DING will, was du damit machst. Der Klimawandel ist seit vielen Jahrzehnten bekannt. Auch dass unsere Städte nicht nachhaltig sind. Dennoch hat es kaum Veränderungen gegeben. Wir wissen seit 30 Jahren, wie man Passivhäuser baut, trotzdem kamen letztes Jahr wahrscheinlich auf jedes neu gebaute Passivhaus abertausende neu gebaute Nichtpassivhäuser. Wie ist das zu erklären? Verstehen lässt sich das mit dem Lock-In-Effekt. Dinge, die wir nur wissen, haben kaum Einfluss auf unsere täglichen Entscheidungen. Viel stärker wirken die Strukturen und Systeme, die uns umgeben – unsere Kultur-Umwelt. Die Welt um uns herum, beansprucht unsere Aufmerksamkeit und beeinflusst, was wir denken, was wir uns vorstellen können und wie wir an Probleme herangehen. Sie ist eine Sammlung von frei verfügbaren Blaupausen für Entscheidungen und Problemlösungen. Es ist unbedingt notwendig in unserer heutigen Welt, einem Kind beizubringen, nicht auf die Mitte der Straße zu laufen, denn die ist den Autos vorbehalten. Ein Kind, das das nicht weiß, wird in einer Stadt nicht überleben können. Aber diese Lektion vermittelt zugleich, das Autos in unserer Kultur einen hohen Stellenwert haben und das der beste Teil der Straße nicht den Fußgängern gehört. Später im Leben, wenn das Kind Probleme lösen muss, bei denen Mobilität ein Faktor ist, werden Autos dabei mit hoher Wahrscheinlichkeit eine Rolle spielen. Ich versuche Design-Studierenden beizubringen, wie sie offene und nachhaltige weil Kreisläufe ermöglichende Produkte gestalten können. In der Regel habe ich die Gelegenheit, einmal mit ihnen zu sprechen. In ihrem Leben aber sind die Studierenden täglich umgeben von tausenden Produkten, die linear und geschlossen (closed source) sind. Diese Lebensumwelt ist viel lauter und hat viel mehr Einfluss und ist natürlich Teil des Lernens. Und so ist es viel wahrscheinlicher und viel häufiger, dass die Studierenden geschlossene und lineare Produkte entwickeln. Die Welt um uns herum, ist der größte Lehrer dafür, wie wir sie produzieren. Die überwiegende Mehrheit der Dinge um uns ist nicht nachhaltig. Also bauen wir eine nicht nachhaltige Welt fort. Wir sind locked in – eingesperrt. Unsere Vorstellungskraft ist blockiert. Wir sind gefangen in einer Filterblase, die unsere Weltsicht formt und wirklich nachhaltige Ideen und Gestaltungsweisen von uns fernhält. Wie kommen wir dort heraus? Unsere Städte einreißen und von Grund auf neu bauen ist keine Lösung, aus vielen Gründen – z.B. wäre das erst recht ein ökologisches Desaster. Hacken scheint somit der einzige Weg heraus zu sein. Denn Hacken heißt, Systemen vollkommen neue Bedeutungen und Möglichkeiten abzugewinnen, ohne ihre gesamte Architektur auszutauschen. Hacken steht für kleine Eingriffe. Es geht nicht darum, etwas vollständig Neues von Null aufzubauen, sondern existierenden Systemen eine grundlegend neue Richtung zu geben. Das klingt wie ein ökologisch nachhaltiger Weg zur Veränderung. Es könnte der einzig wirklich gangbare Weg zur Umgestaltung unserer Städte zu Kreislaufstädten sein. Wieso ist das wichtig für Freiheit? Die technische Entwicklung unserer Kultur schreitet voran. Damit geht einher, dass wir uns von einer stets wachsenden Zahl immer komplexerer Systeme umgeben finden – von Dingen, die wollen, dass wir bestimmte Dinge tun. Die Mehrheit dieser Systeme ist so komplex, als kein Einzelner sie vollständig durchdringen kann. Diese Systeme drücken aber Intentionen und Interessen aus. Es ist aber im Prinzip unmöglich, zurückzuverfolgen, wessen Intentionen und Interessen das sind. Es ist leicht möglich, zu argumentieren, dass diese Systeme ihre eigenen Intentionen verfolgen. Und sie werden immer wichtiger und bestimmender für unser Leben. Es erschreckt, entspricht aber der Wahrheit, dass tausende intelligente Leute heute hart arbeiten, die Vision einer ‚Smart City’ Wirklichkeit werden zu lassen, in der wir vollständig unter Überwachung stehen. Unsere Bewegungsmuster, Gewohnheiten, unser sozialer Umgang, Herzrhythmus, Adrenalin- und Blutzuckerspiegel und vieles mehr werden von Sensoren aufgefangen und an Unternehmen gesendet, die uns dafür Informationen, Produkte und Möglichkeiten anzeigen/vorschlagen (Stimuli für unser Bio-System), um uns zu einem ‚besseren’ Leben zu führen. Die Frage, sie sich das von Manipulation unterscheidet, ist zunehmend schwerer zu beantworten. Welchen Intentionen und Interessen werden diese Unternehmen und ihre Systeme folgen? Überwachung ist ein mächtiges Tool, um existierende – lineare (unnachhaltige) – Machtstrukturen zu stärken. Sie hilft dabei, existierende Strukturen zu stabilisieren. Und darum geht es im Projekt ‚The City Is Open Source’. Das Projekt untersucht Hacken als ein Werkzeug, die offene und freie Kreislaufwirtschaftsstadt zu erschaffen und zu erleben. Es erstellt eine offene Werkzeug- und Beispielliste, die frei studiert, genutzt, erweitert und ergänzt werden kann. Wie hacken wir unsere Städte zirkulär und frei? Das Projekt ist auf Reisen – mit dem Zug, im Netz und im Ausnahmefall auch mit dem Flugzeug. Wir erfinden und diskutieren Hacks gerne für oder in Zusammenarbeit mit verschiedensten Partnerorganisationen und entwickeln sie in offenen Veranstaltungen. Laden sie uns ein. Oder fangen sie einfach an zu Hacken! Überwachung durch Staaten oder Unternehmen schlecht ist und Datensparsamkeit bei privaten Daten gut – Systeme sollten so gestaltet sein, dass sie von vornherein so wenig wie möglich Daten über individuelle Personen erheben, speichern und verteilen! Öffentliche Daten hingegen und die Verfahren, die große und einflussreiche Unternehmen und Infrastrukturbetreiber erheben, um Daten über Individuen zu sammeln und zu nutzen, müssen offen sein! leicht recyceln kann (Auswahl und Kombination von Materialien die kompostierbar sind = biologische Nährstoffe oder zu 100% durch technisches Recycling zurückgewonnen werden können = technische Nährstoffe). die Gemeinschaften in positiver Weise beeinflussen. Nutzen, bauen und werben für physische, rechtliche und kommunikative Infrastrukturen, die alle oben genannten Dinge ermöglichen. sie sowie drauf basierende Dinge herstellen und verkaufenkönnen. Idealerweise nutzt man fertig erhältliche Komponenten und Materialien, Standardprozesse, offene Infrastrukturen und frei nutzbare Inhalte, um damit die Möglichkeiten aller zu maximieren, die Dinge zu bauen und zu verwenden. Die Dinge stehen unter freien Lizenzen, um anderen rechtlich die Möglichkeit zu geben, frei mit den Inhalten zu arbeiten (Patente und Lizenzklauseln, die das kommerzielle Nutzen oder Veränderungen der Arbeit verbieten, werden nicht verwendet). Die Markennamen anderer werden respektiert. Call For Partners: Let’s Create A Global City Hacking Lab ! Document: What is City Hacking? 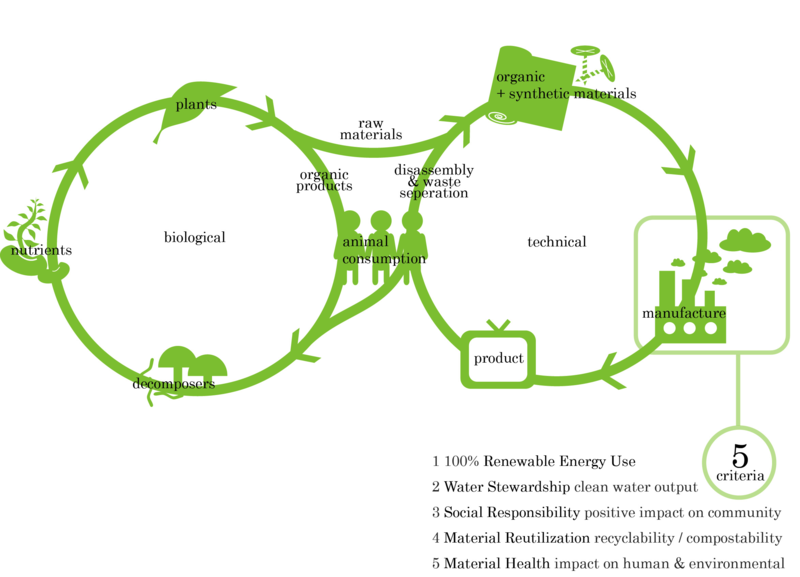 Document: Why Open Source, Circularity & Freedom As Subjects? The City Is Open Source is a project by Mifactori.